To demand a better world for all and support those who struggle for liberation. 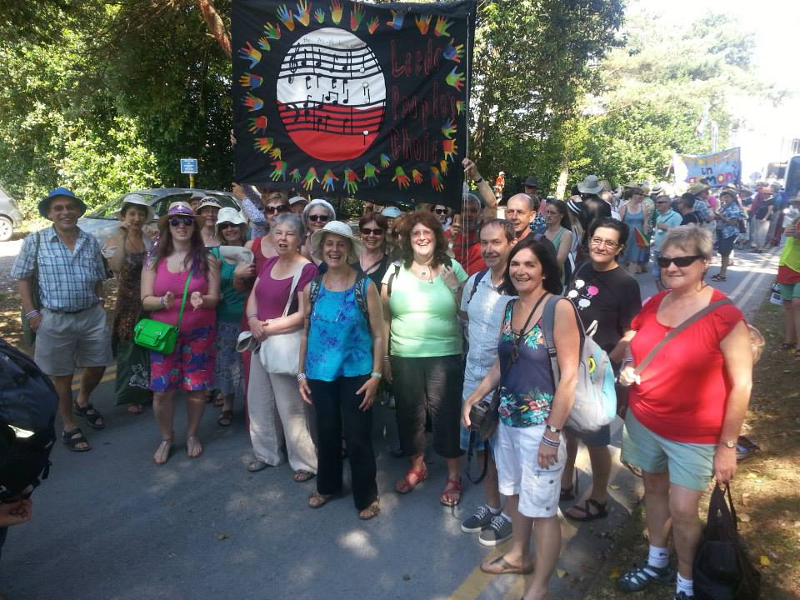 To sing songs of joy, struggle, liberation, celebration and peace from around the world. To express the joys of loving, living and singing. Leeds People's Choir was formed in 1990 as a secular choir by a group of singers living in Leeds. We support events organised by others as well as those organised by the Choir. In 2000 we celebrated the Choir's 10th anniversary by organising a Leeds Voices Concert. In 2004 the Choir hosted the national Street Choirs Festival. You don't need to know how to read music (although it is useful) as we do a lot of learning by ear. We sing unaccompanied usually in four parts: soprano, alto, tenor and bass. The choir is open to anyone who enjoys singing - there are no auditions!